The Everday Mattress Protector is a mattress protector that is durable to protect your mattress for years to come. The mattress features a breathable mattress barrier to protect your mattress from spills and stains, while protecting against common bedding allergens. The mattress protector fits mattress heights of upto 18 inches. 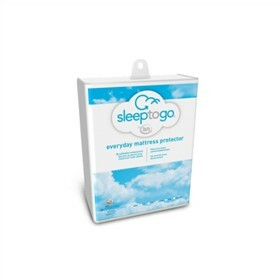 The Everyday Mattress Protector Twin has many exciting features for users of all types. The Everyday Mattress Protector Twin is sold as a Brand New Unopened Item.